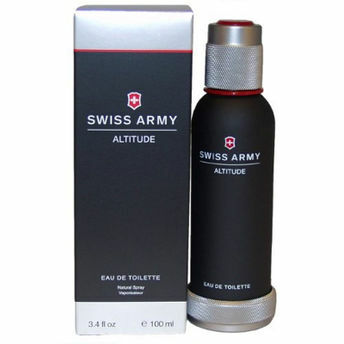 Altitude eau de toilette for men by Swiss Army gives you the opportunity to take your personal fragrance choices to breezy, woodsy new heights. The spray has a crisp and fresh mixture of mint, ylang-ylang, cedar, moss, bergamot and lavender that makes its warm, soothing and refreshing. Explore the entire range of Perfumes (EDT & EDP) available on Nykaa. Shop more Swiss Army products here.You can browse through the complete world of Swiss Army Perfumes (EDT & EDP) .